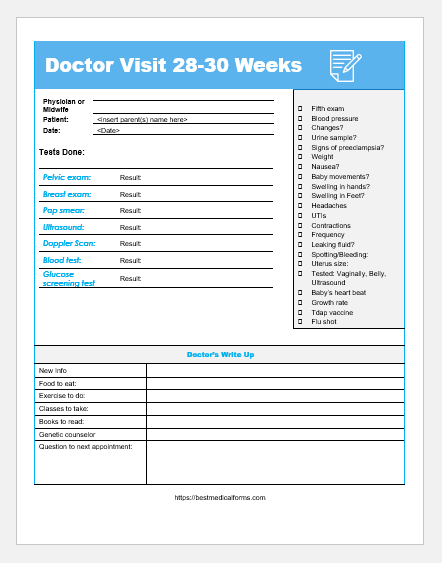 Baby feeding & diaper log is an easy way to record the activities of a baby. For a first time mother, it is difficult to remember or calculate the number of times baby feeds in a day, and the number of diapers he changes. 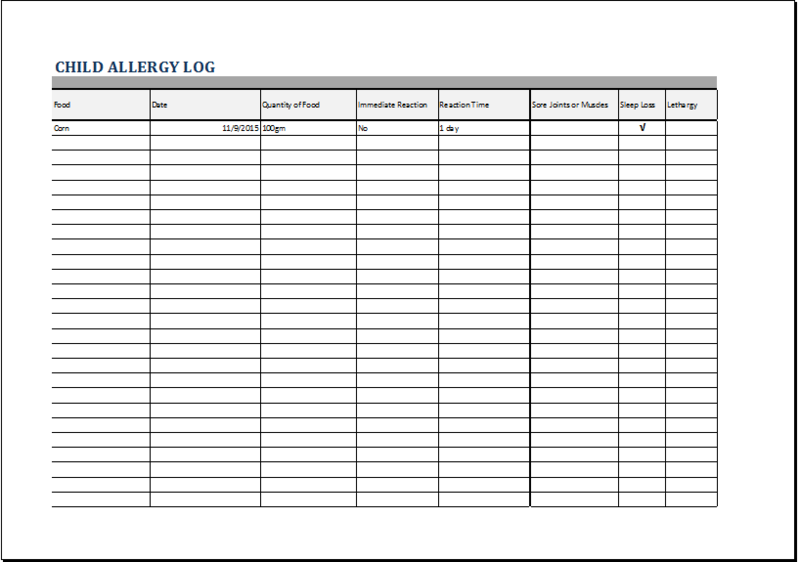 For this purpose, we have made this log to easily note all the readings. 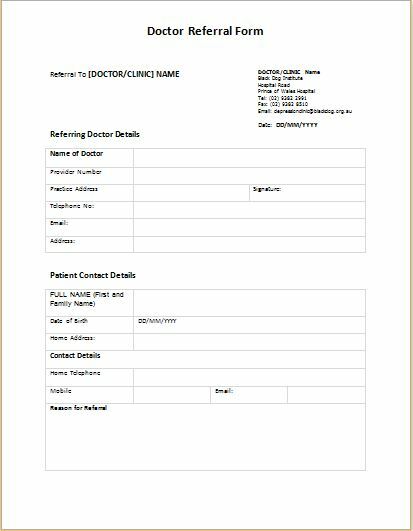 The log provides s timeline of the number of feedings, wet diapers and bowel movement, that is, the number of stools a baby passes, throughout the day at any specific time. Through this way, one can easily know how many times his baby requires to be fed, what are the usual time of his feedings, what are the usual timing of his diaper changes (how long he takes to wet diapers) or how many times and at what time of the day the baby passes stool. All this information is very much needed and will be readily available to the parents if they record all the instances of the day. The table gives a column of time from midnight to noon, showing every hour of the day. A column of days on the extreme right is also given to indicate everyday’s recordings. One can also mention the date and day. The rows of the table provide cells of feedings, diapers, and bowel movements. One can mark on respective time when baby eats, or drinks milk. For breastfeeding babies mark R or L for right or left breast respectively, on which baby started; while for feeding babies write the number of ounces the baby had. While for the diaper label just mark when the diaper was wet and got changed. In case baby passes stool mark the time of the day it was done. This practice is carried on the whole day to get an overall picture of baby’s feeding and diaper changing activity. For example, if the baby took his feed at 7am in the morning, wet his diaper at 10am and passed stool at 12am, the mother will mark all the respective labels on its respective time column. 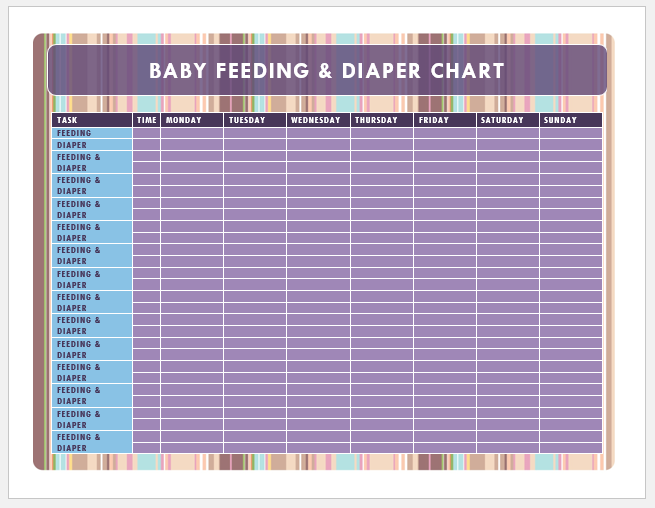 Every time the baby demands feed or require diaper changing, it should be marked to know the schedule of the baby.